Spring is making its way to the PNW; we’ve had some sunny days. 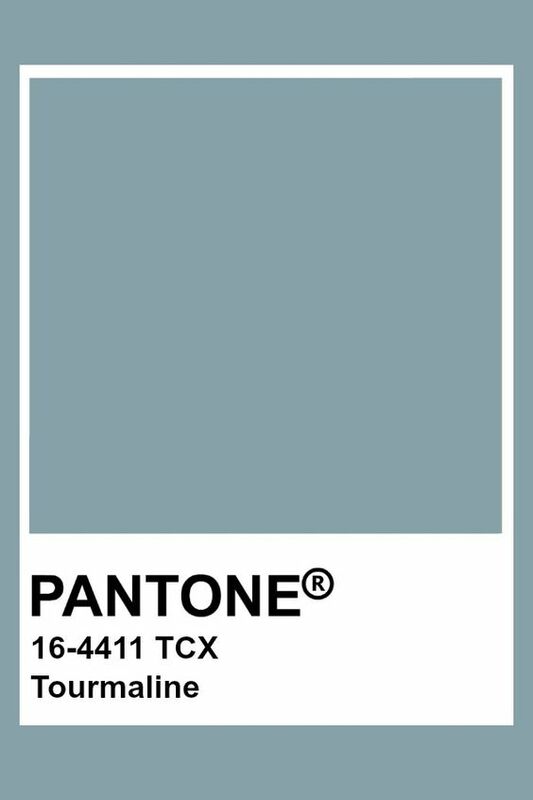 For a brief instance, we had a hot and glorious day, and I was inspired to design a necklace for a summer outfit. Do you have a favorite charm necklace? I have two necklaces I find myself always wearing, one is a heart lock, a gift from my husband and the other is an arrow necklace. I love dainty small charms and delicate chains. 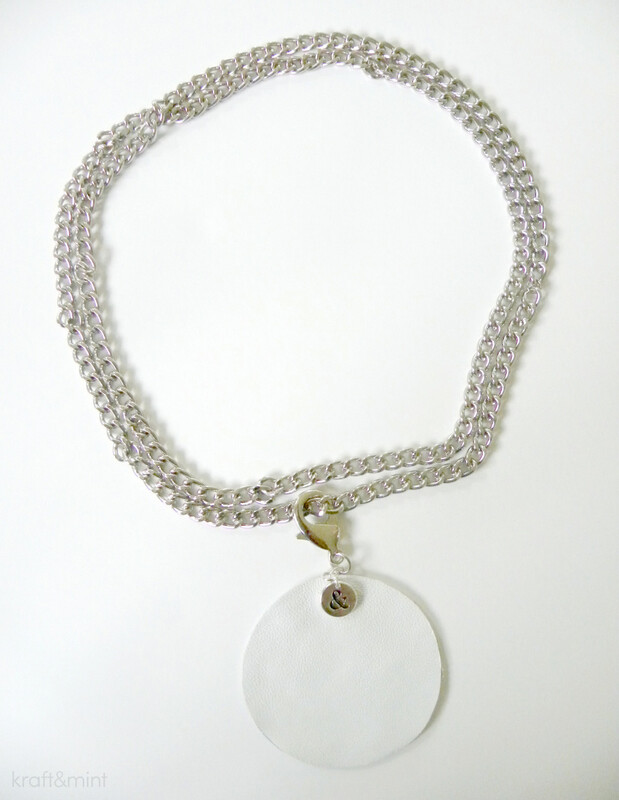 The necklaces I’m sharing with you are designed to be interchangeable among various chains. Start with a piece of white leather and cut two circles 2″1/6 inches in diameter. I used a nifty circle cutter from EK Tools. The cutter is primarily designed to cut perfect circles out of paper. However, this tool also worked well with thin leather! The smallest circle I was able to cut was 2 1/6″ in diameter. Anything smaller than that and the blade will not run very smoothly. 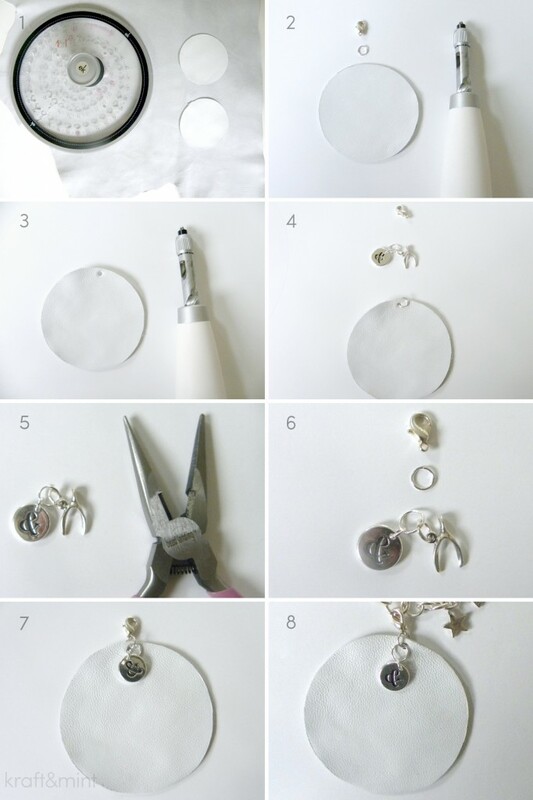 Use glue (crafting glue or Stitch glue) and stick both circles together. Gather the rest of materials, a screw punch, 2 silver jump rings and 1 lobster clasp. Use the medium blade in the screw punch and poke a hole like shown on picture 3. Insert a jump ring through the leather and close it. Attach charm to the other jump ring using pliers. Attach lobster clasp to the charm’s jump ring. Finally, attach the charm to the leather circle. Voila, the charm + leather circle with lobster clasp, is ready to be attached to any chain. 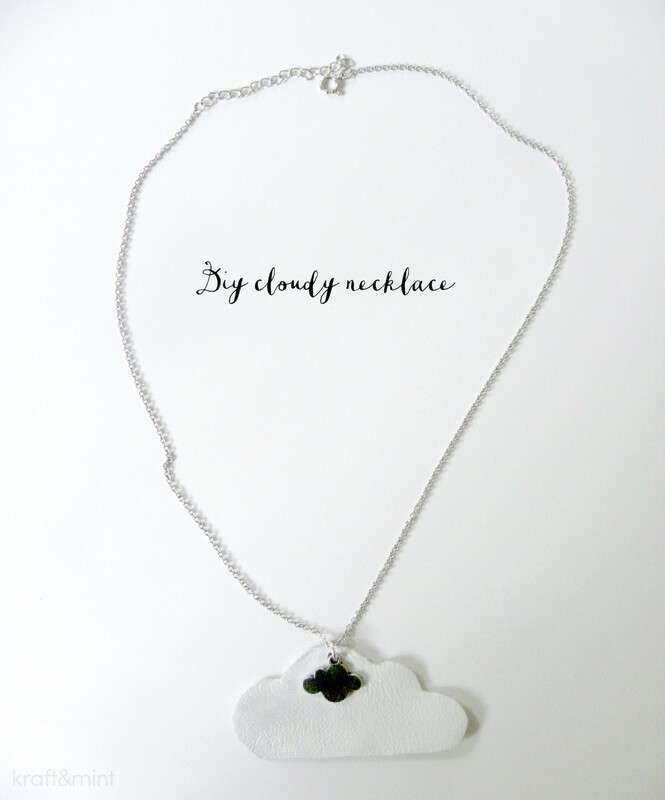 I am in love with my new Cloudy necklace! I drew a cloud on the back of the leather and very slowly cut the leather. I cut two clouds and glued them together. Then I followed the same steps as the ampersand necklace. Thank you for reading and visiting kraft&mint! If you enjoyed this post and would like to receive more crafts like this via email, please follow my blog by clicking “follow kraft&mint” on the right column. So cute! I LOVE the cloud! This is SO gorgeous! I love ampersands! The cloud is so pretty too :) What a lovely piece! Thank you so much for linking up at Thursday STYLE! 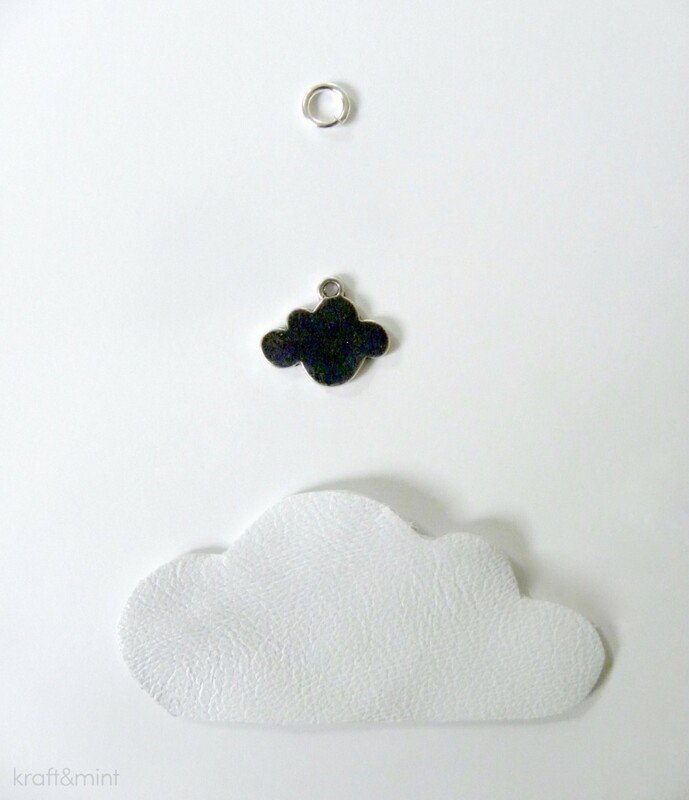 i love things with clouds on them, so this necklace is right up my alley. so sweet. Thank you for visiting kraft&mint ;) I hope to “see” you again soon! 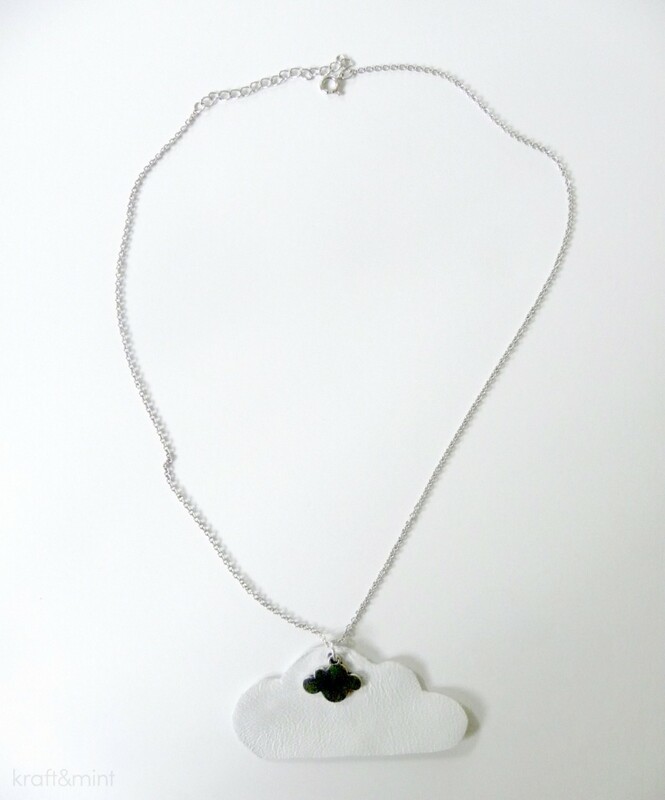 Love the cloud necklace. My oldest dd would love something like that. Pinned.